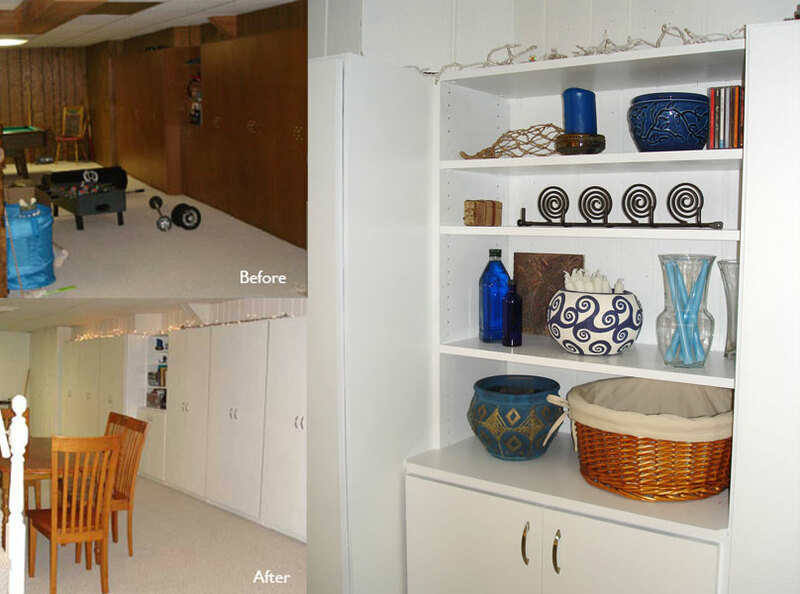 12 months ago your basement looked like a revolting dungeon, it is amazing what a little lot of white paint and 10 weeks of painting whenever I had a spare moment can do. Now you may have been rather unpleasant but you do offer great storage … see that long wall of cupboards (if you are British like me) or closets (which is also me, as I am America too!). They are just fabulous, who doesn’t like storage. But your chipboard laminated cupboard doors were brown and ugly just like the rest of your basement. They got the primer (Kiltz) and white paint treatment (semi gloss) too and my my don’t they look so much better. 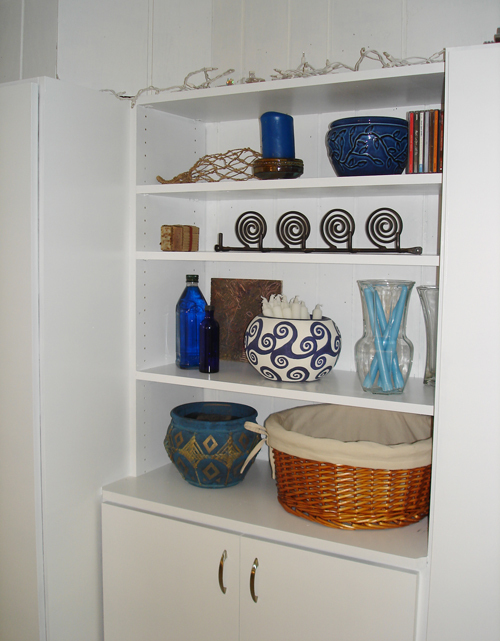 The wall of storage delight even offers some open shelves which got a styling makeover recently with a few treasures. I did worry about the durability of painting the laminated doors but so far so good…they had three coats in total and have stood the test of giggly girl teens crashing into them. ahhhh-mazing!!!! I absolutely love your taste 🙂 My husband and I had to move our bedroom to the basement last year (when our 2nd child was born) and white accents definitely helped make it less dungeony. Now you're making me want to go and paint everything down there white!